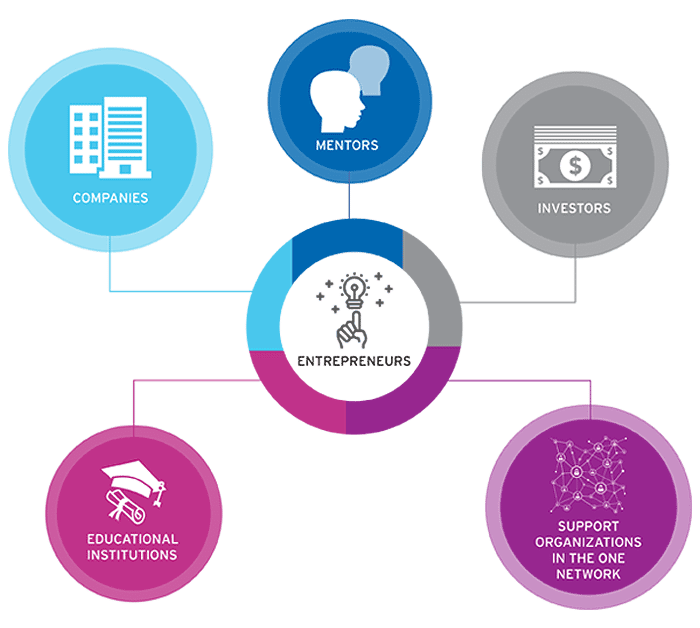 Part of a global initiative to advance both understanding of and support for entrepreneurs, the Connected Entrepreneur study took place in Ontario between August and December 2016. 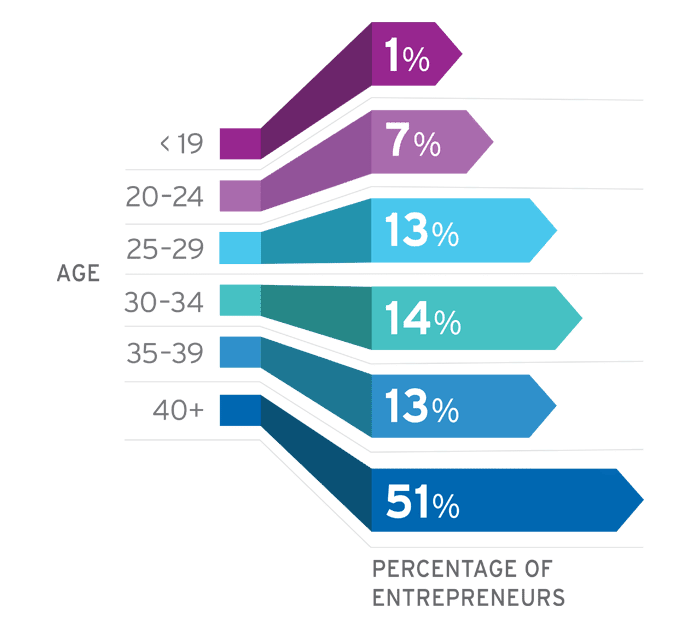 It marked the first research to go beyond measuring entrepreneurship by the number of successful ventures, focusing instead on individuals and how their networks have helped them achieve success. Who are the key individuals and organizations in the startup ecosystem in Ontario? Where do they come from, and what is their typical path to success? What connections drive successful outcomes? After the data was cleaned and consolidated, 240 valid responses uncovered 4,174 connections across the network. These connections exist between 2,940 individuals and organizations across Ontario. Entrepreneurs in the sample are mature. 51% of surveyed individuals were 40+, while just 21% were under 30. * This means that not all entrepreneurs are young millennials. Many have obtained multiple academic degrees and have had a significant amount of work experience before creating their own businesses. Other recent studies, such as the Global Entrepreneurship Monitor (GEM) Ontario Report from 2015, indicate similar findings. 16% of entrepreneurs who filled out the survey have also founded multiple ventures. Connectivity measures illustrate that female entrepreneurs may be better connected than their male counterparts. There is also an upward trend in women’s participation in entrepreneurship — 24% of the entrepreneurs in Ontario’s network are women. Respondents highlighted that key organizations in the Ontario Network of Entrepreneurs (ONE), like the Ontario Centres of Excellence (OCE) and MaRS Investment Accelerator Fund (IAF), are providing valuable support to entrepreneurs in the province and have a high impact on their business decisions. 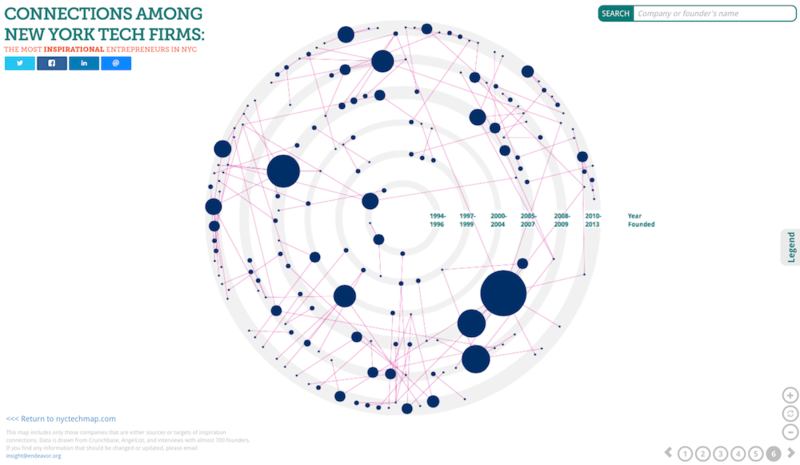 Applying learnings from the Connected Entrepreneur to the global mapping project. GERN has already produced visualization tools for two further cities – New York City and Cairo – and mapping is underway in 20 more. The most inspirational founders in New York City. The datasets collected for each city use GERN-validated methodology and are licensed to GERN for sharing with other researchers for non-profit purposes upon request. Look out for future research coming from Data Catalyst on Ontario’s Entrepreneurship Ecosystem.